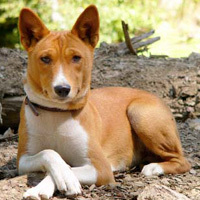 The Basenji is odorless and is similar to a cat when it comes to grooming habits. It sheds little and requires only occasional grooming – in case of need. 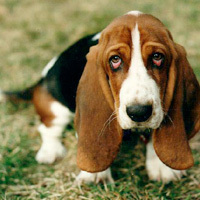 Although the Basset Hound has a short coat, it sheds constantly. Use a firm bristle brush to groom the dog when need be and clean underside of its ears on weekly basis. Trim its nails regularly, but bathe the dog only when absolutely necessary. 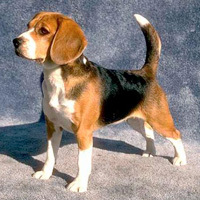 The Beagle has smooth, short coat, and though it shreds a lot, it needs only occasional grooming. Use a firm bristle brush to groom the dog and trim its nails regularly. Check its ears to prevent infections and bathe the dog only when necessary. 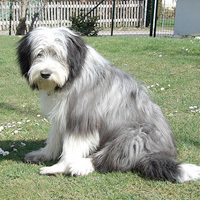 The Bearded Collie is an average shedder. Since it has a long and shaggy coat, daily brushing is recommended. Pay particular attention during the shedding seasons. Bathe the dog only when necessary and, if you wish to ease the grooming efforts, bring your Bearded Collie for professional machine-clipping every two months. Beaucerons are average shedders, but require only symbolic grooming. Occasional brushing is sufficient throughout the year, except in the shedding seasons. 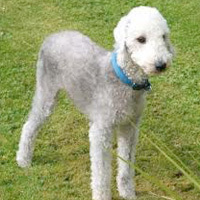 The Bedlington Terrier sheds little, but is prone to tangles. Therefore, it requires regular grooming. 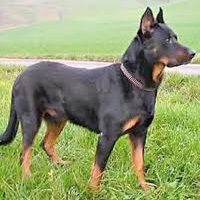 Also, this breed has a distinctive trim. Professional clipping is necessary every six weeks or so, unless you learn to do it yourself. Unlike other breeds, Bedlington Terrier's skin doesn't dry out when bathed, but be it as it may, don't wash it too often since the coat may look limp. 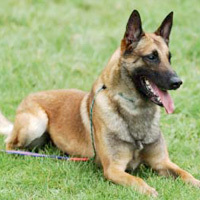 The Belgian Malinois is a constant shedder. It has a smooth, short, waterproof coat. The latter quality diminishes if you bathe the dog too often, so do it only when necessary. Daily brushing is recommended, with a firm bristle brush. 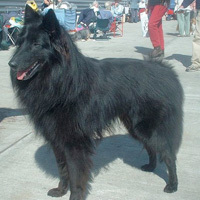 The Belgian Shepherd (Groenendael) has a long, heavy outer coat and a dense undercoat. Daily grooming is recommended – both brushing and combing. Clip the mats whenever they form. Groenendael is a heavy shedder, so pay particular attention to grooming during the shedding seasons. 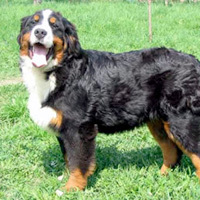 The Bernese Mountain Dog has a long and wavy coat. Groom it daily or weekly – as required. The breed sheds heavily during the shedding seasons, when it is recommended to groom it daily. Bathe or dry shampoo the dog only when needed. 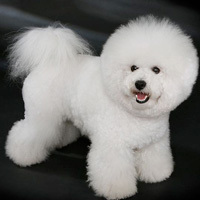 The Bichon Frise sheds only occasionally, but is prone to mats and tangles. Brush it daily and bathe it once per month. Professional groomers recommend professional grooming every month. 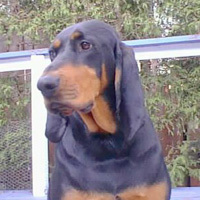 The Black and Tan Coonhound requires only an occasional brushing, but pay particular care to the ears: keep them clean at all times to prevent infections. 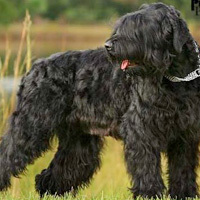 The Black Russian Terrier has a hard, tight, weatherproof coat and sheds very little. Brush it once per week, at least. Also, remove the hair from the ear ducts and under the paws. Bring the dog for professional grooming as required – usually several times per year. The Bloodhound is an average shedder. It has a smooth and short coat and is groomed easily with a hound glove. Clean its ears several times per week. As for the bathing, professionals have opposite views. 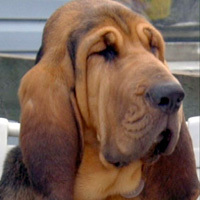 Some say the Bloodhound should be bathed once to twice a month during the summer while others recommend bathing only when necessary. 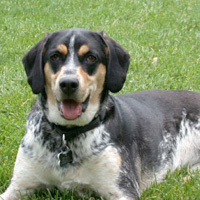 The Bluetick Coonhound requires only occasional brushing, but its ears need particular attention. Namely, they must be kept clean to prevent infections. 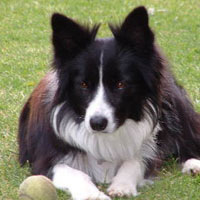 Border Collie requires regular grooming, regardless of the fact that it's an average shedder. Bathe the dog only when needed or give him a dry shampoo treatment. 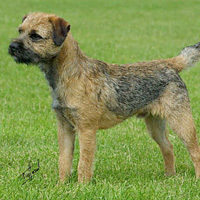 The Border Terrier has a wiry coat and is a light shedder. It requires weekly brushing and professional grooming is recommended twice per year. Bathe the dog only when needed. The Borzoi (Russian Wolfhound) has a long coat and is a heavy shedder. Brush the dog regularly with a firm bristle brush. 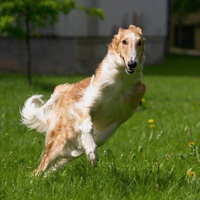 Bathe the Borzoi only when absolutely necessary and clip the hair between the toes. 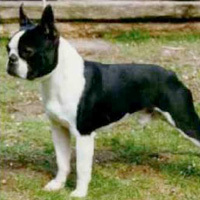 The Boston Terrier is an average shedder. It has a short, smooth coat, which requires little grooming. Brush the dog with a firm bristle brush, but clean its face with a wet cloth daily. Clip its nails regularly. 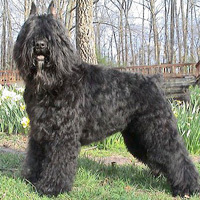 The Bouvier has a long, shaggy coat. Regular grooming (daily) is needed. Bathe the dog only when necessary. When needed, trim the hair inside the ears, between the pads and on the legs close to the feet. Professional groomers also recommend coat trimming at least three times per year. 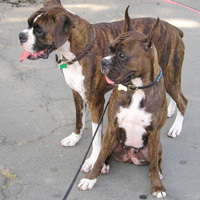 The Boxer has a short coat and is an average shedder. It needs only minimal grooming, since the breed grooms itself much like a cat does. Brush the dog with a firm bristle brush and bathe it only when necessary. 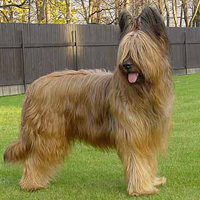 The Briard has a coarse coat that calls for regular grooming. Brush it several times per week to prevent mats and tangles. Clip the hair in the ears and between the bats when needed. If groomed regularly, the Briard will shed little. 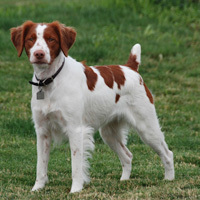 The Brittany Spaniel has a medium-length coat. It is a light shedder but should be brushed daily, since it's prone to tangles. Baths or dry shampoos need be applied only when necessary. 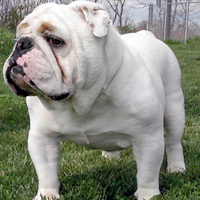 The Bulldog has a short, smooth coat. It is an average shedder and doesn't require too much grooming. Occasional brushing with a firm bristle brush is sufficient. Wash the dog's face with a wet cloth daily and pay particular attention to the wrinkles. Bathe the Bulldog only when necessary. 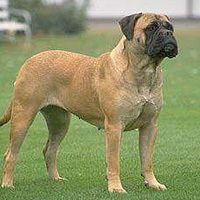 The Bullmastiff has a short coat and sheds little. Brush it with a firm bristle brush when needed and trim its nails regularly. Baths and dry shampoos are applied only when necessary. 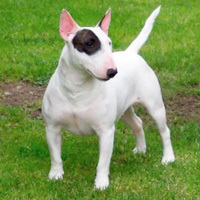 The Bull Terrier has a short coat and is an average shedder. It sheds twice a year, when it requires extra grooming. Otherwise, brush the dog when required. Bathe the dog only when necessary to prevent its skin from drying.